I have spent a number of family camping trips in the Coorong, a distinctive landscape south-east of Adelaide, that spans more than 130 kilometres of the South Australian coastline. 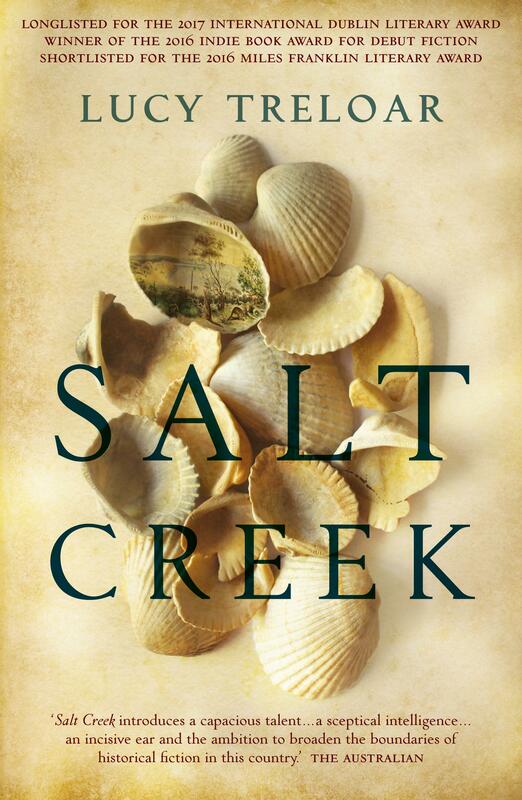 No wonder I was attracted to the title of Lucy Treloar’s first published novel, Salt Creek, a town at the mouth of the Coorong. In 1855, Stanton Finch relocates his family from a respectable home in Adelaide to the harsh environment of Salt Creek, where the nearest neighbours are at least 10 miles away. His intention is to tame the landscape and build a fine home. Supposing the low-built structure they arrive at is a stable, Hester, the eldest daughter, soon realises that it is in fact their new home. As her mother, unable to cope with her family’s reduced circumstances, withdraws further and further into herself, Hester is forced to assume responsibility for keeping the household in order. As the story progresses and scheme after scheme fails, Stanton becomes almost maniacal in his efforts to make money and repay his debts, tearing his family apart in the process. Hester vows to one day free herself from the confines of Salt Creek and to live a life of her own choosing. Always in the background are the Ngarrindjeri people, whose home and livelihood is decimated by these new settlers. The Ngarrindjeri mostly keep to themselves. The exception is Tully, a young boy, who is taken in by the Finches, joining in the children’s lessons and working on the property. It is through Tully that the younger Finches, and indeed the reader, come to respect his different culture and understand how misguided Stanton actually is. Salt Creek is a very readable novel. The characters remain in the mind long after reading the final pages. Treloar has perfectly captured the sense of isolation and history that is still present in the Coorong today.